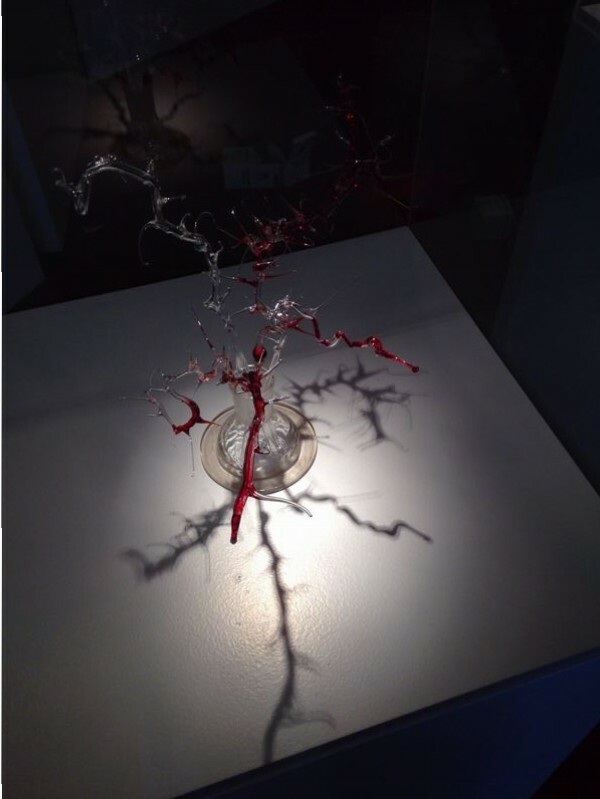 The ‘blood vessels’ series offer a compelling range of emotional insights into some of the anatomical structures, connections and associations of human blood vessels, veins and arteries. 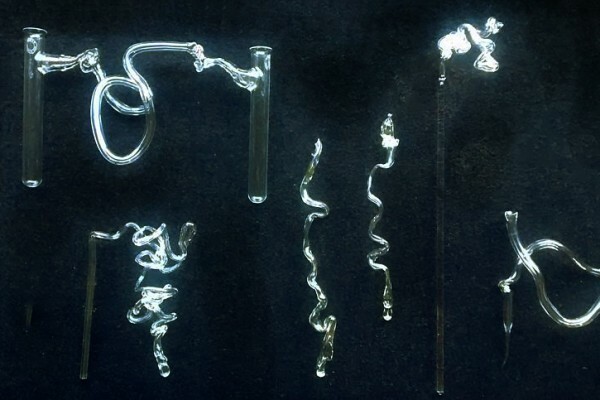 Inspired and informed by new forms of medical imaging and the conventions of historic illustrations,this intricate and colourful series of glass sculptures infuse the supposed neutrality of scientific ’illustration’ with highly emotive content. 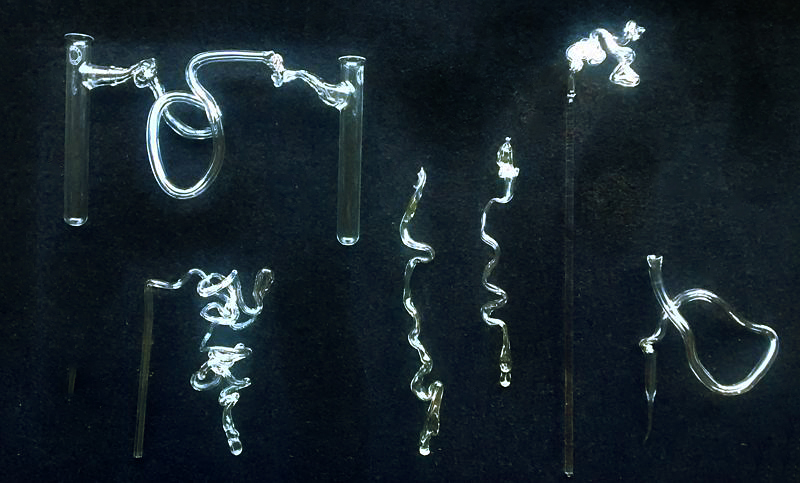 Exploiting some of the expanding properties of red and blue ‘toluene’ (used in thermometers) , the capillary action of finely drawn glass, and the ‘ready made’ functions of laboratory glassware, Murphy has created series of elaborate forms that investigate a variety of cultural and linguistic associations, functions and flows of blood. 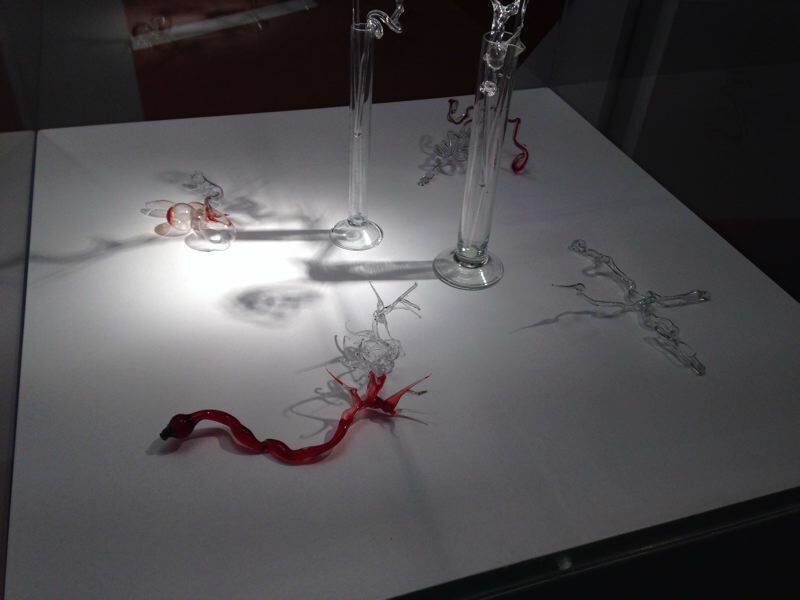 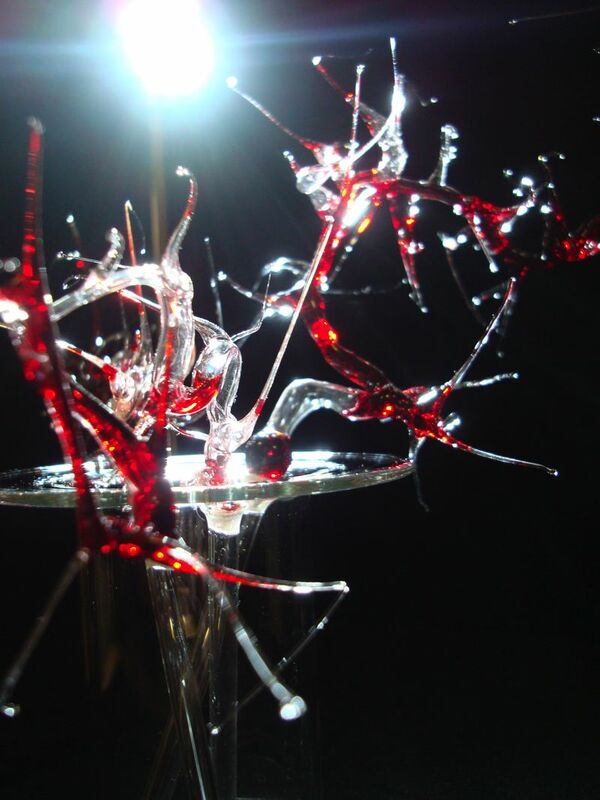 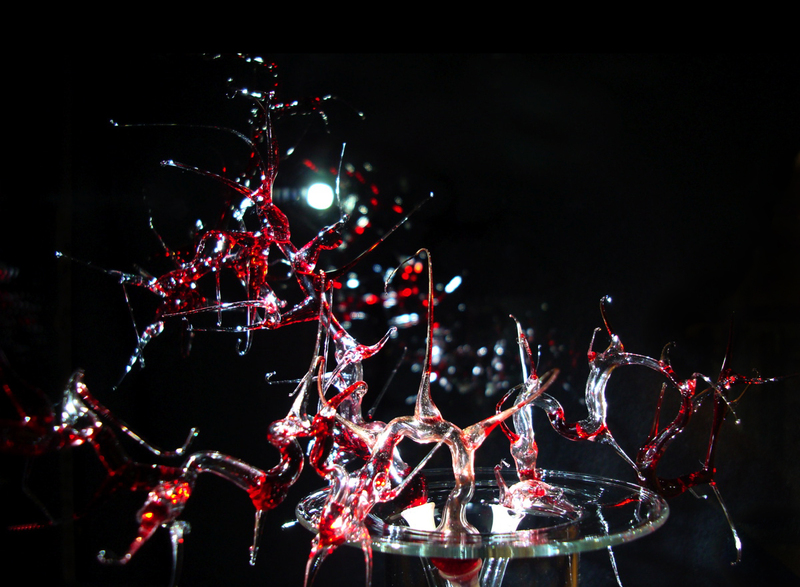 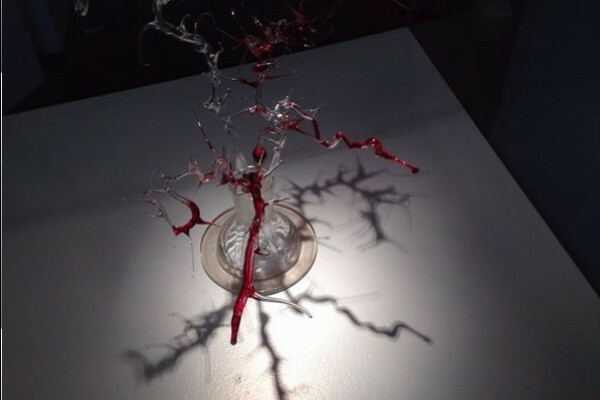 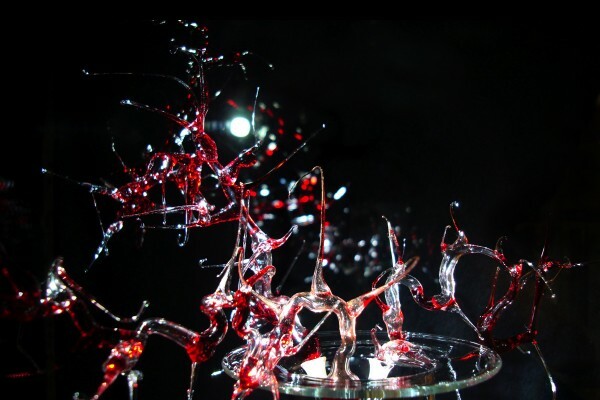 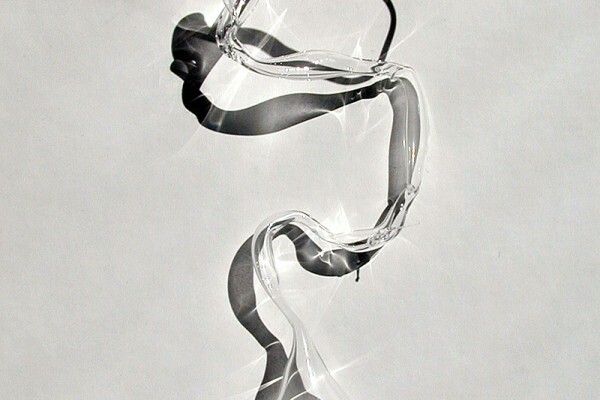 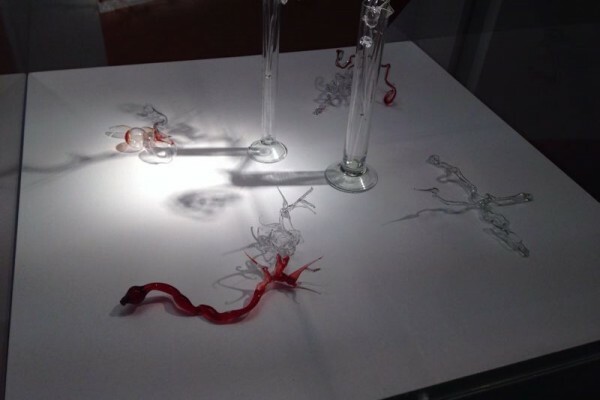 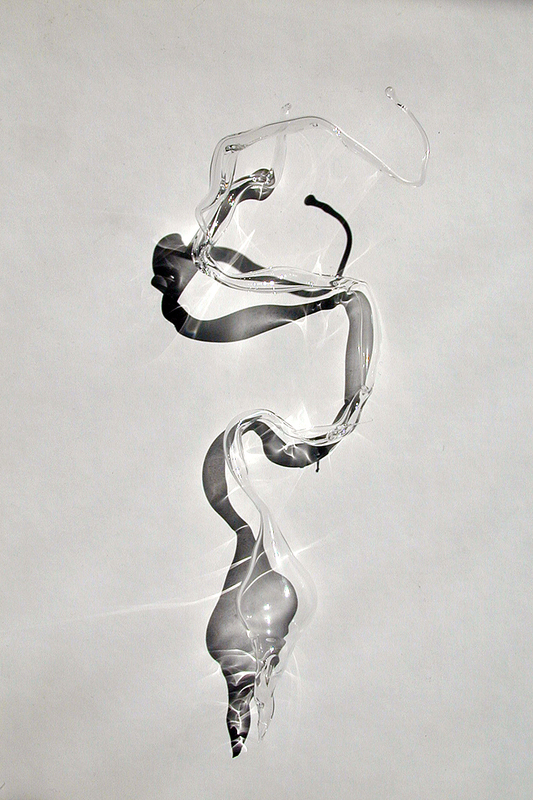 Working in consultation with medical specialists – and supported master scientific glass blower Raymond Tribe (Chemglass Ltd), Murphy is now developing a series of vibrant new installations inspired by blood flow – from intricate molecular forms to larger than life structures. 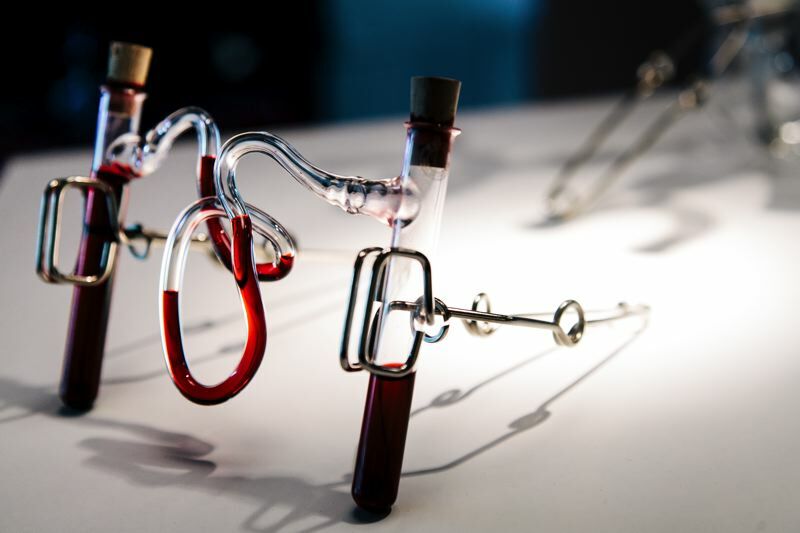 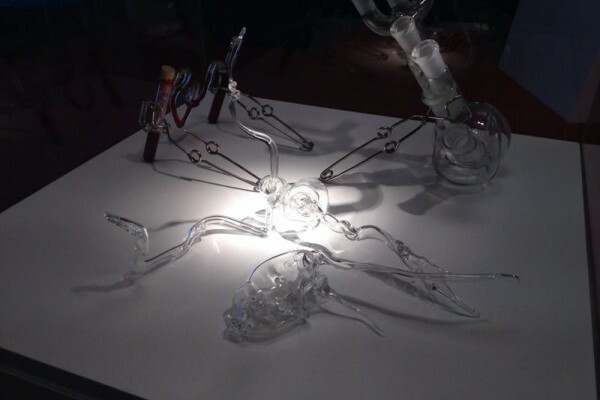 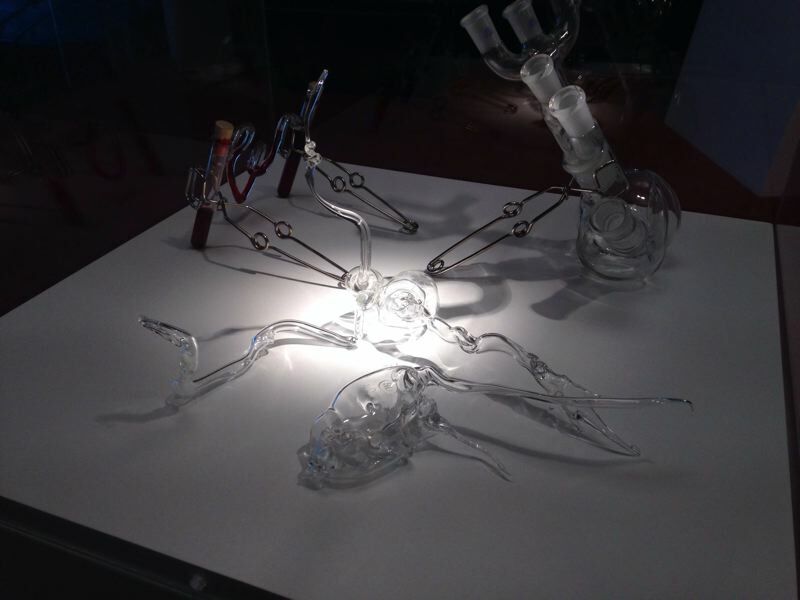 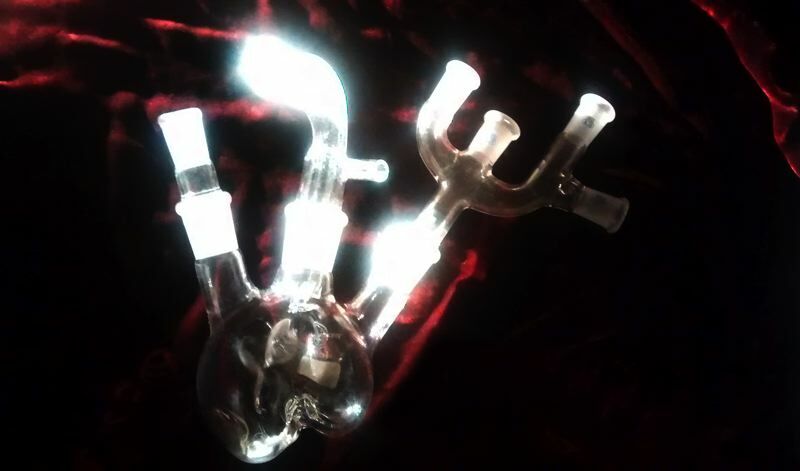 Incorporating specialist lighting and a variety of medical and scientific apparatus, these dramatic new installations will offer a powerful sense of connection with the myriad depths and flows of this very expressive, vital life fluid.